Sandwiched between a Beijing restaurant and several Sichuan eateries in a chaotic commercial building on mini-bus-clogged Jardine's Bazaar lies this unassuming Japanese restaurant. Sushi Maizuru quietly opened last year after a group of friends decided to create their own hang-out with their favourite chef. 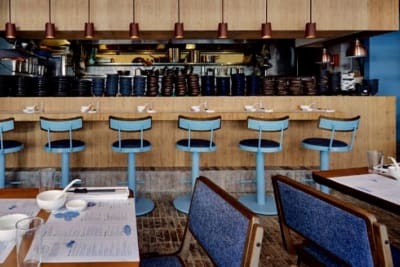 The owners come from the typical Hong Kong big industries and share a common thread: the love of fine Japanese cuisine. 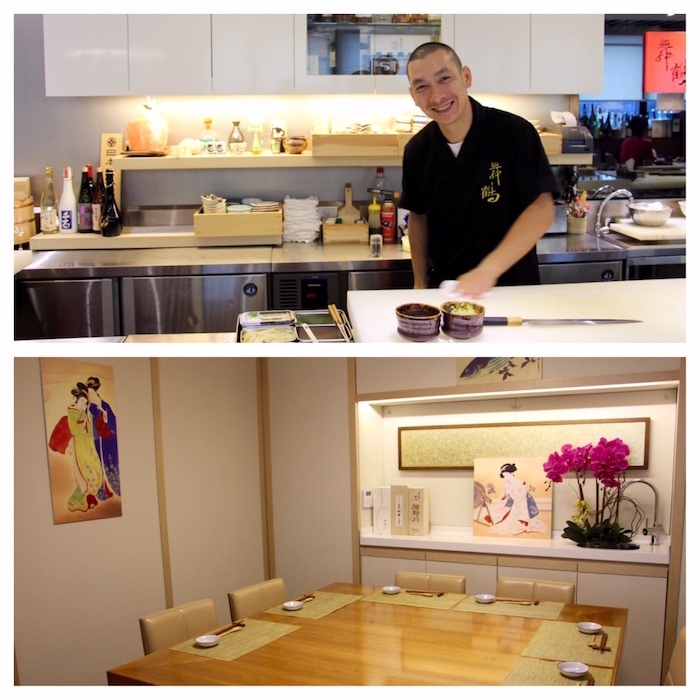 Chef Andy Li is at the helm of Sushi Maizuru, having been plucked from the popular Sushi Dokoro Hikari in Tin Hau. The restaurant is on the small side, with a few booths and two small private rooms in addition to the sushi counter. 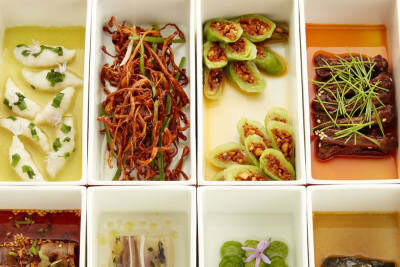 The menu centres around sushi, although other dishes such as udon and salads are also offered. 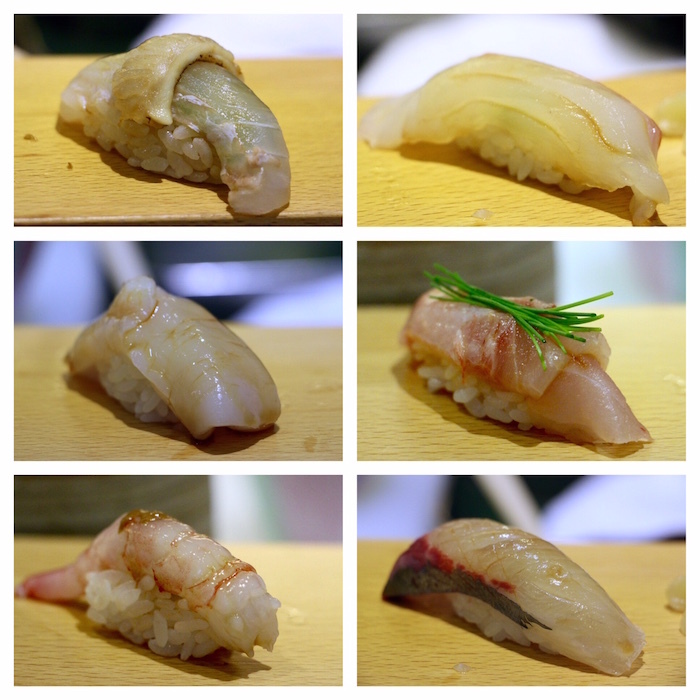 We recently sat down for a lunch tasting that also included highlights from the omakase menu. Dining here is an intimate affair, with regulars calling in advance to request specific ingredients to be flown in from Japan. 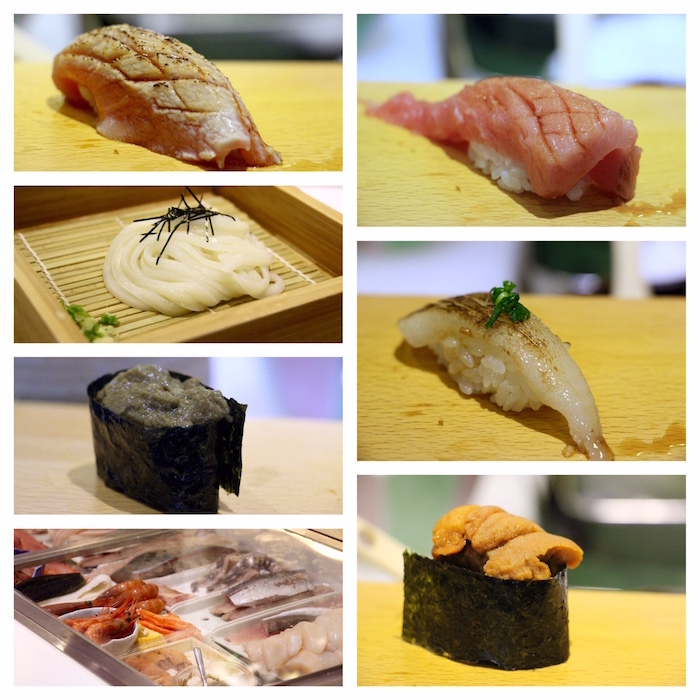 We sampled a selection of nigiri sushi, including hirame (flounder), kinmedai (golden-eyed snapper), prawn, scallop, charred flounder flank, aburi toro (grilled tuna belly), uni (sea urchin) and crab butter made from Hokkaido crab roe and miso. Plenty of attention to detail can be found, from the house-made soybean powder in the crab butter to the sweet soy sauce infused with dry bonito. The rice was less vinegary than we would have preferred, although the seafood was fresh and there was plenty of interesting variety. An omakase dinner here runs between $1,200 to $1,500, depending on the ingredients, and lunch sets hover in the $200–300 range. This would be an ideal place for a relaxing, quiet meal that hits most of the marks of a great sushi restaurant, although we won't be saving this for a special occasion.